[패턴영어] ~에 누가 관여해? Who’s involved in this cooking show? Who’s(/who wasn’t) involved in ~? 이 요리 프로그램에 누가 관련되어 있어? Who’s involved in this cooking show? 이 소송에는 누가 관련되어 있어? Who was involved in the lawsuit? 의사 결정을 하는 데에는 누가 관련되어 있어? Who are involved in making decisions? 이 범죄에 관련되지 않은 사람은 누구였어? Who wasn’t involved in the crime? 너의 사교 생활에는 어떤 사람들이 함께해? Who’s involved in your social life? 이 일을 비밀로 하는 데에 누가 관여했어? Who was involved in keeping this hush? Who are involved in professional sports? 우리 개를 키우는 데 관여하지 않은 사람이 누구였지? Who wasn’t involved in raising our dog? A: Who’s involved in this cooking show? 이 요리 프로그램에 누가 관여해? 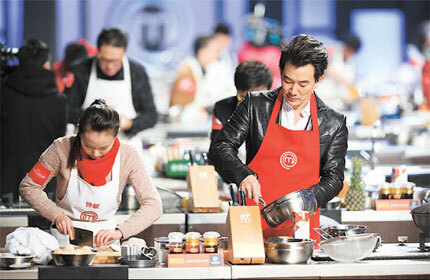 B: It starts a renowned chef! A: Who’s involved in your social life? 너의 사교생활에는 어떤 사람들이 함께해? B: I meet all kinds of people. 나는 모든 종류의 사람들을 만나. A: Who wasn’t involved in raising our dog? 우리 개를 키우는 데 관여하지 않은 사람이 누구였어? B: We all had a hand, for sure.